At Dr. Gjebre's office, you’ll find a unique professional setting designed especially for the comfort and safety of your child and you during dental visits. First Visit - As a parent, you’re welcome in our treatment rooms. Our philosophy is that a child’s best dental experience happens when parents are completely involved. Kid Friendly - You and your child will be cared for a by a welcoming staff, by mothers whose own children have received great dental care, right here. 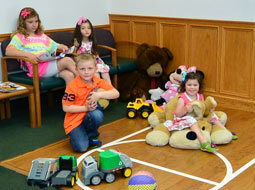 Children’s Dentistry - We know your concern, that your kids cannot have a good time at the dentist. We’ll show you they can. Why Choose a Pediatric Dentist over a General Dentist? As a pediatric dentist, Dr. Gjebre is a specialist with advanced post-doctoral training to provide for your child’s dental care from age 1 through the teenage years. 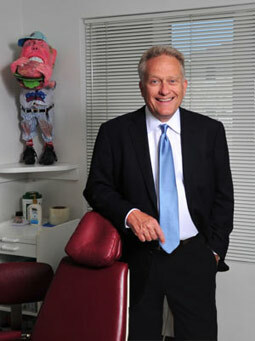 He knows that good oral health is important to total health. By starting a program of preventive dental care early, your child can enjoy a lifetime of good dental health, and that means fewer problems at every age! Our practice also welcomes children with significant medical, physical, and mental disabilities, patients that often present a challenge when it comes to good dental care. Dr. Gjebre and his capable staff assure all patients of the best possible care.